Alton VA - The weekend event, which was the season finale for the Mid-Atlantic and Southeast regions of CCS, also featured the AMA Sanctioned ASRA Team Challenge Series presented by Michelin Tire, in which 12 teams came together with a combination of three classes to compete in an 89 lap endurance race. Team Bubblegum Racing led the field from start to finish and was the only team to complete all 89 laps of the 3 hour timed race. The Bubblegum Racing Kawasaki ZX-10R was piloted by Xavier Zayat and O'Hare for this event. Zayat started and ended the race with O'Hare on board midway through. Zayat had nailed the lead from the green flag and immediately began to open a gap on the rest of the field as he worked his way through the course and methodically began lapping other teams. When O'Hare took over, the team was well ahead and swapped riders one more time to complete all 89 laps in less than two and a half hours, well under the time limit, as both the Overall and GTO class race winner. Team Fairfax cycles, won the GTU class after completing 88 laps on board their Suzuki GSX-R 600 piloted by Jason Zelibor, Mark Miller, Jr., and Alex Shaw. Grease Monkey Racing won the GTL class in spite of a crash setback early in the race on board their Suzuki SV 650 piloted by father and son team of Eric and Jonathan Helmbach. On the podium, Zayat stated, "Firstly, I'd like to thank Mr. Fontinopoulos. He's let me ride his bike a few times here and it's been nothing but fun. It's such a fast bike and such a well built bike and I really appreciate that he was letting me have this opportunity. Me and Ricky you know, we exchanged tips over the weekend and we just helped each other go faster and faster, and learn the new bike, I think we're starting to get used to it, and I really can't thank Jimmy enough for letting us use the bike. And, also Mike Faillace was able to come out this round and help us out with the suspension and I think that was a big help for me. Also, Pirelli tires and Livengood for building, well it's actually stock tuning of the bike." O'Hare said, "Thank you to Jimmy for giving me the opportunity to trust us enough to give up his seat, Pirelli Tires, everybody CCS, cornerworkers staff appreciate everybody for letting us come out here and do this." The final ASRA Team Challenge race of the season will take place at Daytona International Speedway during the 34th annual CCS Race of Champions event October 20-22. Millville, NJ - Team Jones Express, with solo rider Ryan Jones, won the Combined ASRA Team Challenge on his BMW S1000 RR under rainy and wet conditions at New Jersey Motorsports Park. Team Jinba Ittai Motorsport was out front and leading the race after a good start on the Oska Blues / Dales Pale Ale Yamaha YZF-R6 with the rest of the pack shuffling for position behind him. By lap seven, Team Bubblegum had taken over the lead on their Kawasaki ZX-10R and proceeded to consistently drop lap times. Team Jones Express was on a mission and took over the lead a few laps later, also pushing the pace and dropping lap times. One hour into the scheduled 69 lap race, pit stops and rider changes were happening across the board. Team Jinba Ittai Motorsport was back out front and leading the way with teams Jones Express and Dead Presidents in hot pursuit, having completed 28 laps. Jinba Ittai Motorsport was able to fend of the rest of the field until lap 42, when Jones Express took over the lead that Ryan Jones would continue to hold until a red flag incident in lap 52 brought the race to an end. Team Jones had completed 51 laps and was the Overall and GTO race leader at the time the race was called. Team Jinba Ittai Motorsport was the only other team to complete 51 laps, and claimed second place Overall as well as second in the GTO class. Team TSE - Wolfpack had completed 50 laps and rounded off both the top three in Overall and GTO classes. The next stop for the ASRA Team Challenge Presented by Michelin Tire is Virginia International Raceway on September 17, 2017. For more information visit www.ASRAracing.com and follow the links or call 817-246-1127 (9 to 5 Central Time Monday through Thursday). The American Sportbike Racing Association Team Challenge Series Presented by Michelin Tire came to the Summit Point Summer Cycle Fest for a true test of man and machine over the 100-lap, 200 mile Team Challenge final. With temperatures in the mid-80s and only a slight breeze it was perfect weather for racing at the Summit Point Circuit and the race went off without a hitch. As the field lined up for the start most people thought this was LB Sports (Lloyd Bayley) chance to gain some points on the TSE/Wolfpack team (Bailey Cox) in the Overall Championship Chase at one of his favorite tracks but Jones Express (Ryan Jones, Dustin Young) had a different idea how the story was going to play out. From the start it was the Jones Express BMW leading the way with a trio of Kawasaki?s (LB Sports, TSE/Wolfpack & Bubble Gum Racing) and the Yamaha of Jinba Ittia (Joel Lenk, Matt Brown) giving them all they could handle in the early stages of the 200 mile contest. Around lap 30 the leaders began regularly scheduled pit stops and the challengers seemed happy to just keep the Jones Express in sight and get deeper into the event before applying more pressure. The strategy soon began to slip away as Jones started to inch away from Bubble Gum Racing (James Fotinopoulos, Xavier Zayat, Richard O?Hare, Mark Dickerson) and the rest of the top 5 closing in on the 50-lap mark. At the crossed flags for halfway it was Jones all alone on lap 50, TSE and Bubblegum barely a lap behind when more pit stops jumbled the field as the teams got ready for the final third of the race. The BGR team made their final stop on lap 68 but a fire bottle infraction during re-fueling got them a stop and go penalty costing them 18 valuable seconds to the leading Jones Express. After the penalty, it was all BGR could do to get back on the lead lap with 12 laps to go and at the checkered flag Jones Express had a 40.040 second lead over BGR and 2 laps over LB Sports in third place while Jinba Ittia secured fourth position and TSE/Wolfpack finished fifth. The top 5 Overall were also the top 5 in the GTO class. In the GTU class, the 2017 GTL Championship Leader Fairfax Racing (Jason Zelibor, Mark Miller Jr.) had a mechanical on their GTL bike for they used a Suzuki 600 to keep their overall hopes alive by racing the GTU class and with some hard riding, brought home a win in a new class for them. In second it was Fast Lane Racing (Rick Beggs, Jason Gibbens) on a Kawasaki and third position went to Bad Wolf Racing (Greg L?Heureux, George Federlin, Tommy Wilson) on their Yamaha. The GTL class feature some humor and some feel good moments during the event. With the top 4 teams riding Suzuki SV 650s, it came down to hard racing and team work that put LWT Racer 171 (Todd Alberico, Benjamin Loyle, Sean Dougherty) in victory lane with the win. Second position was the Not A 565 team (Sam Wiest, Doane Richardson) with Grease Monkey Racing (Eric Helmbach, Jon Helmbach) in third and LWT Racer (Anthony Rosati, John Dodson, William Finnerty) finished in fourth place. The American Sportbike Racing Association Team Challenge Series Presented by Michelin Tire made the trek to the New Hampshire Motor Speedway for the 94th Loudon Classic and series regulars made their mark on the prestigious event despite dealing with nearly constant rain from the start. After a red flag stopped the race just 10 laps into the two hour event, LB Sports (Lloyd Bayley) put his Kawasaki ZX10 out front and slowly inched away from the field to secure the Overall Class win over Jinba Ittai (Joel Lenk) on a Yamaha R-1 by 1-lap in the red flag shortened event. In third position was the Yamaha R-1 of Barry Motorsports (James Barry) just 14.226 seconds behind Jinba Ittai (2016 GTU National Champions). The top three overall were also the top three in the GTO Class, unusual for the tight NHMS road course especially under wet conditions. The final red flag that stopped the event at the 1 hour and 47 minute mark when the GRRRIP Racing entry crashed in turn 12 leaving oil and debris on the race course. In the GTU class, the top spot went to National Granite (Gene Buonomo, Norman Pomerleau) on their Yamaha R-6 besting the Holdmybeer Racing Team (Daniel Weems, Anthony Esposito, Michael Vallante, Pedro Gondres) by 4 laps after both teams took turns with the overall lead early in the contest before HoldmyBeer crashed on lap 10. The team repaired their R-6 but the damage was done as National Granite cruised to the checkered flag and the GTU win. Another great battle in the GTL class, it was GRRRIP Racing (Steven Parolin) on his Suzuki SV650 with a 1-lap victory over the Suzuki SV560 of the 2017 GTL Championship leader Fairfax Cycles Racing (Jason Zelibor, Xavier Zayat). The final machine on the podium was the third place Kawasaki Ninja 300 of Northern Racing (Phillip O?Donnell, Conn McQuin, Kevin Dunday). Even though the GRRRIP Racing machine caused the final red flag, the 1-lap lead secured the first ASRA Team Challenge Class win for the team. After this win, LB Sports takes the Overall Championship lead by 1 point over Jinba Ittai with 5 rounds left in the series. By their second place finish, Jinba Ittai moves into a tie with TSE/Wolfpack Racing for the GTO Championship, while National Granite moved into first place GTU by 21 points over TSE Racing. With a commanding 65 point lead in the GTL championship, Fairfax Cycles Racing is in position to take its first National Team Challenge Championship. The next stop for the ASRA Team Challenge Presented by Michelin Tire is Blackhawk Farms Raceway on July 22, 2017. For more information visit www.ASRAracing.com and follow the links or call 817-246-1127 (9 to 5 Central Time Monday through Thursday). The American Sportbike Racing Association Championship Series presented by Pirelli Tire rolled into Summit Point Raceway for its annual Memorial Day Cyclefest with the Championship Cup Series and the event lived up to its reputation. With a total of 1020 entries between the two series, this was easily the largest motorcycle road racing event of 2017 just as it has been for the last 3 years. First up were the SportBikes and pole sitter Ricky O?Hare on his Yamaha R-6 wasted no time in getting to the front leading Greg Melka by 1.4 seconds at the completion of lap 1. Melka brought his Yamaha R-6 back to within 0.788 seconds of the leader by lap 4 only to have a bobble on lap 7 that allowed Tommy Wilson to get past and close in on the front runner O?Hare. While Wilson pushed his Yamaha R-6 to the limit, it was O?Hare by 0.367 seconds at the checkered flag with Wilson in second and Melka in third. Next were the ThunderBikes and Defending National Champion Ray Hofman held off early challenges by Bart DeFrancesco and George Demetropolis to put his Ducati 749 on the top of the podium by 2.549 seconds. DeFrancesco brought his Suzuki SV650 home in second just 0.353 seconds ahead of Demetropolis and his SV650. In SuperStock Frank Babuska Jr. won the pole and was joined on the front row by Tim Bemisderfer, Mark Heckles and William Gawler. As the green flag dropped, Bemisderfer got the hole shot on his Kawasaki ZX-10 but by the time they completed lap 1, it was Heckles in front on his Yamaha R-1 followed by Babuska and Bemisderfer just 0.254 seconds behind. By lap 2, Heckles and Babuska pushed their R-1s clear of Bemisderfer by 1.213 seconds and continued to pull away from the field for the rest of the race. On lap 4, Babuski made his move and led Heckles by 0.048 at the stripe. While Heckles continued to challenge Babuska at every turn, when the checkered flag flew is was Babuska for the win over Heckles by 0.940 seconds. While Bemisderfer held on to third place for the first 8 laps, it was Ryan Jones on his BMW S1000RR that took the final podium spot for SuperStock. The new ASRA Moto 3 class had 13 entries and it was a wild one from the start. For the first 7 laps it was a knock down drag out battle for second as Jasso took position of the top position on his Yamaha 125 and inched away from the field. Ray Hofman, Mark Dickerson and Shane Hoeckel slammed their Kawasaki Ninja 300s together fighting for second. At the flag, it was Hofman, followed by Dickerson and Hoeckel in fourth place in one of the most exciting races of the day. In Amateur action, it was Jeremy Whitehurst taking the win in SuperStock, Nate Redding in SportBike, Robert Brown in ThunderBike and SJ Harris in Moto 3. The next stop for the ASRA Championship Series Presented by Pirelli Tire is Virginia International Raceway's North Course on June 10-11, 2017. For more information visit www.ASRAracing.com and follow the links or call 817-246-1127 (9 to 5 Central Time Monday through Thursday). 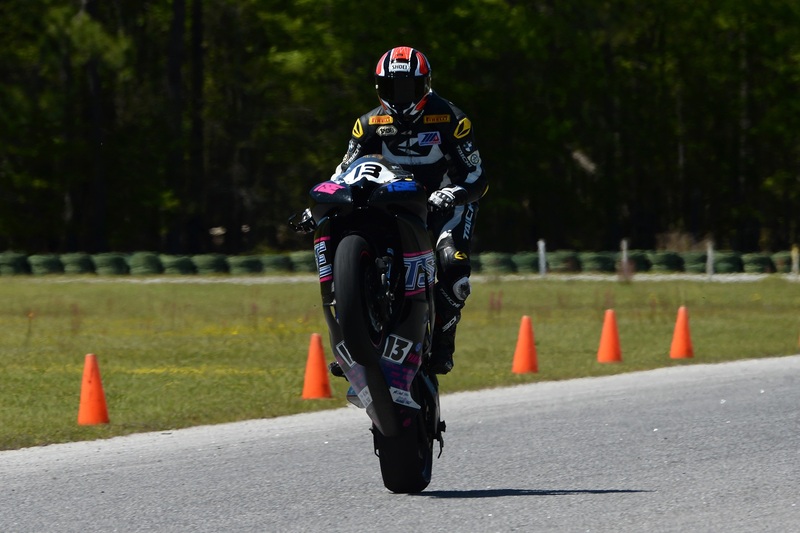 The American Sportbike Racing Association Team Challenge Series kicked off the 2017 season at Carolina Motorsports Park on April 9, 2017 with Cory West taking the victory on the TSE Racing Yamaha R-6. With two red flags the race finished on time instead of the posted 69 laps and the TSE crew managed their pit stops perfectly to keep West out front for the majority of the event. With the top 4 machines finishing 49 laps, the 55 second margin of victory was even more impressive when you consider the runner up LB Sports (Lloyd Bayley) was riding a Suzuki GSXR 1000. Rounding out the top 3 was the Yamaha R-6 of Mazziotto Racing (Anthony Mazziotto) just 6 seconds back of the runner-up. For the GTO class, it was LB Sports for the win followed by the Kawasaki 1000 of Bubblegum Racing (James Fotinopoulos, Richard O?Hare). Rounding out the top three in GTO was the Jones Express BMW 1000 (Ryan Jones) with 48 laps complete in the red-flag shortened event. In the GTU class, the top spot went to TSE Racing followed by Mazziotto Racing in second and then it was Ol? Boys Racing (Julio Vallette, Paul Guy, Jonathan E. Thomas) finishing on the third step of the class podium. After a great battle in the GTL class, it was Fairfax Cycles Racing (Jason Zelibor) securing the season opening win over RBOM 128 (Michael Copoulos, Chris Bays, Chris Parrish) in second position, while things did not go their way, a solid third place for the 2016 GTL Champions LWT Racer 171 (Todd Alberico, Benjamin Loyle) leaves them in position to capture another National Championship for 2017. The next stop for the ASRA Team Challenge Presented by Michelin Tire is Autobahn Country Club's south course on April 29, 2017. For more information visit www.ASRAracing.com and follow the links or call 817-246-1127 (9 to 5 Central Time Monday through Thursday). The pre-entry deadline for the 76th Daytona 200 is March 3, 2017 at 5:00pm Central time. Fans can follow live timing and scoring by going to www.Race-Monitor.com and click on the Daytona 200 link, or for the tech savvy, load the Race Monitor mobile app from Karting Coach to follow on your mobile device for a $4.99 annual subscription. This subscription will allow you to follow all the ASRA/CCS races all year. Fan tickets for all motorcycle racing events March 11-19 are available by calling 1-800-PITSHOP or online at http://www.daytonainternationalspeedway.com. 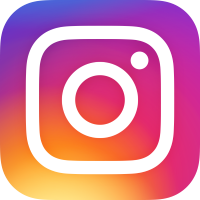 Fans can stay connected with Daytona International Speedway on Twitter, Facebook, Instagram and Pinterest for the latest news all season long. THE 2017 ASRA SEASON OPENER WILL BE AT DAYTONA INTERNATIONAL SPEEDWAY! The 2017 Tentative Schedules for the ASRA Sprint Series and the ASRA Team Challenge Series have been announced and posted. Use the information found in these first schedules for planning purposes only, since they are subject to change as track contracts and agreements are finalized. The 2017 License Application and Pre-Entry Form can be downloaded from our Forms page. TIP: Get the License Application to us before December 31, 2016, for the best chance to keep your existing bike number(s).